When the Japanese invasion of China intensified in 1937, Imperial reliance on Chinese puppet troops for duties like garrisoning cities. Before long an estimated 500,000-900,000 such men were under the command of the Japanese, in both militia and regular army units. These men had to be armed, and Japanese domestic production of Type 38 (and later Type 99) rifles was all allocated to Japanese needs. Several solutions were found to the problem of arming the Chinese, including the extensive use of captured arms and also the organization of a domestic Chinese arms-making center in Tientsin. From 1938 until 1943 (approximately; records are basically nonexistent) a conglomerate of at least five small factories in Tientsin produced about 38,500 North China Type 30 carbines. That name, by the way, is a US collector designation, as the official designation is not known. 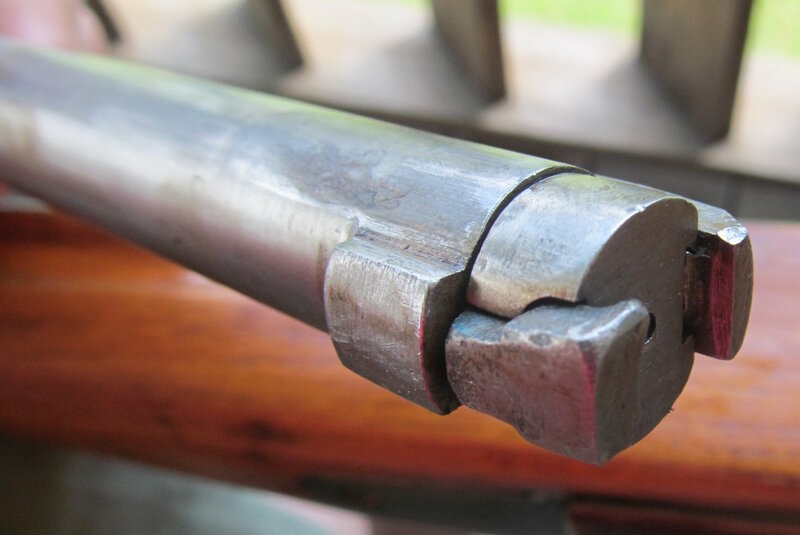 At any rate, the North China Type 30 was basically a Type 30 Arisaka chambered for the 8mm Mauser cartridge, as this was the ammunition most commonly available in China and the cartridge used by its national military before the Japanese invasion. Only a small number of these rifles have been documented today, but we can make some inferences from them. For example, while fewer than 40,000 were made, they have serial numbers up to the 400,000 range. This is because each of the five arsenals or factories involved in the production was assigned a serial number block of a hundred thousand. The official Tientsin Arsenal made guns in the zero block (ie, starting at 0), with the other producers beginning at 100,000, 200,000, 300,000 and 400,000. If the leading digit is ignored, the highest recorded number is 16,503. 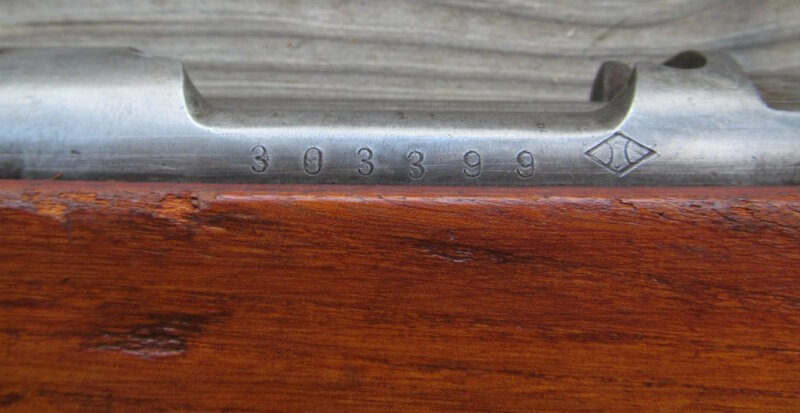 This rifle, for example, is only the 3399th one produced in the 300,000 block (the names of these other factories are unknown). These North China Type 30 rifles were made to a moderate level of quality, but to pre-war design standards. They use a flip-up ladder sight nearly identical to the Japanese Type 30, as well as steel buttplates, nicely finished sling swivels, etc. They do not have upper handguards, but that part was not included on the Japanese Type 30 either, as it was not deemed necessary. In place of the Imperial chrysanthemum, these rifles are marked with the symbol of a 5-petal cherry blossom. 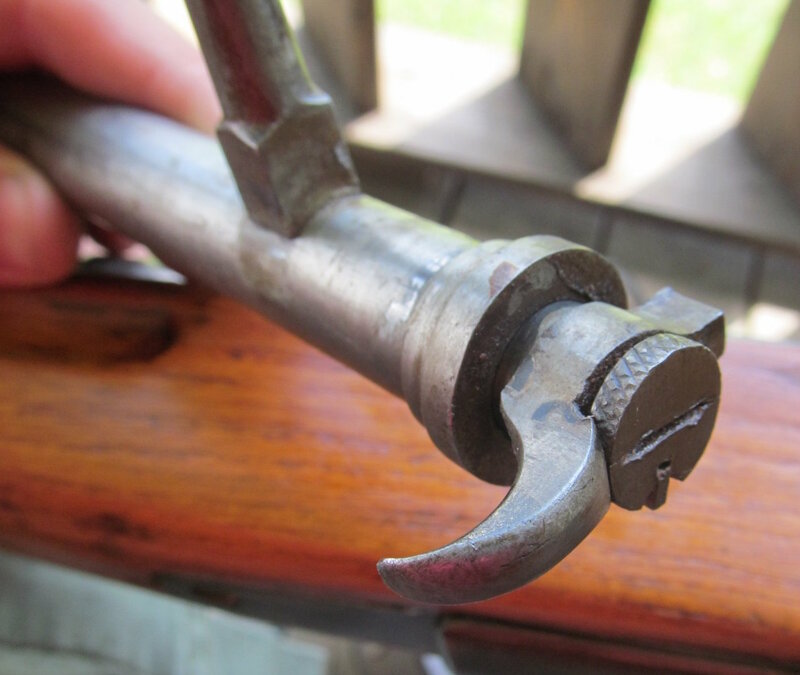 The later Type 19 North China rifles are also marked with a series of kanji spalling out “North China Type 19” – the Type 30 examples do not have this writing, but the obvious similarity of the guns is what has led to that designation being applied to them as well by the US collecting community. Looks like an organic shim? 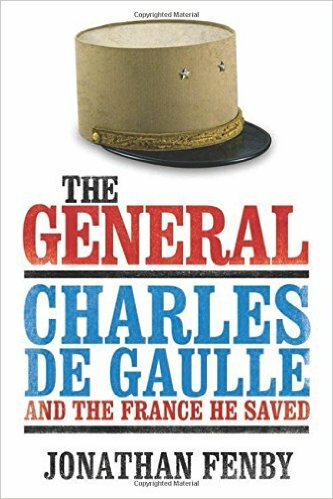 Barrel band – also serialized. Nosecap – note that it is serialized. It is also not stepped, as the Arisaka ones are. In 1944, they would be replaced in production by the North China Type 19, in 6.5mm and using the Type 38 action instead of the Type 30. Those rifles show a significant degradation in standards over the course of production, similar to the devolution of the Type 99 in Japanese production. Both the Type 30 and Type 19 North China carbines are quite scarce today. ZB light machine guns are pretty often seen with Chinese troops, but the DP-28s are less common. And the BAR variant (either a Colt or FN-D) is downright unusual. The BAR sure got around, didn’t it? This is a Polish wz.28 Belgian Modele 30 model in China (thanks to Leszek for the correction). Looking into the barrel, i wonder if they were able to hit anything smaller than a barn door beyond 100 meters? Very, very rough if I might say, but I suppose this was judged sufficient by the Japanese to arm their minions in China. Actually, if you’re going to carry a bolt action into combat this one wouldn’t be too bad. It appears to be no heavier or longer than it needs to be, and nobody has added any useless doo-dads or gadgets onto it. Plus, you wouldn’t need mortar or artillery illumination during a nighttime firefight. Judging from the experience of firing an 8mm G33/40 at night the truly humongous muzzle flash fireballs would light up the battlefield just fine by themselves. 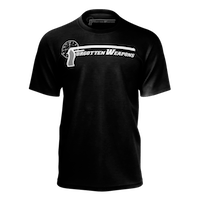 Good points, but muzzle flash attracts attention from the other team’s automatic weapons and blinds the user. A short rifle is still more handy in urban combat, considering that the Japanese did not have enough Type 100 SMG’s in production prior to the factories getting bombed and the workers of said factories getting machine-gunned by bored P-51 pilots. If you don’t believe me, some accounts from Mustang guys relate to fighter sweeps conducted over Japanese air bases in order to lure out whatever good Japanese pilots were left so that the Mustangs would slaughter them while they were still running to their planes and so that the B-29’s would have NO enemies to face at high altitude. Sorry, serious comment followed by attempted humor without sufficient cues or warning. I was being facetious concerning the possible utility of the 8mm carbines muzzle flash (Although not about its spectacular nature.). It’s been my experience that in a night action without artificial illumination or night vision equipment a single muzzle flash is too quick to sight in on, if the shooter does what he’s presumably been trained to do and moves between shots. It’s actually the prolonged fire of an automatic weapon that let’s everybody and their dog know where the gun is. Whereupon everybody and their dog shoots at the gun’s position. Which is why MGs are supposed to fire short bursts when the lights are out. If both sides are doing it right you end up with ‘Well they’re over there. Somewhere. So shoot thataway dammit!” or something of the sort. The above are some of the reasons night actions tend to be inconclusive, unless one side or the other can add a fairly large amount of high explosives to the festivities. Sorry, but this sound less likely to me. So far I know, near airfield were big number of AA gun, so flying at low altitude in such condition was bad idea. Japanese AAA was on average much weaker than German, so doing fighter sweeps over airfields was feasible. Attacks against airfields were of course done also in North Africa and Europe, although they were typically more complex coordinated affairs with some steps to suppress the air defenses. Medium bombers were used in conjunction with fighter-bombers and so forth. In Europe the favored method was to have fighters loitering just outside the range of light AA guns and attack the German fighters as they were landing. The Germans tried to counter that by having dedicated airfield defense fighters running CAP around the airfields. Those fighters could then not sortie against allied bombers, so it was still beneficial to the Allies. This sub-machine gun was simply late, it might be considered up-to-date technology if introduced and mass produced in 1920s/first half of 1930s, but it was introduced in 1942, when other nations have or will soon have sub-machine guns which can be produced in BIG quantity for LOW price. Type 100 was also heavy for weapon firing 8x22mm cartridge. On the other side U.S. forces also lacked sub-machine gun in early war. Note that sub-machine gun can be, to some degree, substituted by shotgun, as both these weapon are best in close-quarter combat, but it must noted that generally shotgun will be heavier, longer and have smaller range (as projectiles send from sub-machine guns are spin-stabilized), nevertheless shotguns – from Point-Of-View of U.S. forces in WW2 – could be acquired faster/in bigger quantity as weapon factories just have tooling for shotgun which after small modifications (as adding bayonet lug) could be used as combat weapon. The problem with shotguns in military use is indeed the short effective range with shot shells. With slugs the range can be significantly increased, but having two different ammo types to juggle with is a big handicap. Traditional tube magazines also do not facilitate use of different ammo types. Shotguns with buckshot or especially slugs are also not suitable for soldiers with limited amount of shooting experience. I’m not sure how widely the “trench guns” were used in WW2 by US forces, but my impression is that their use was very limited. So far I know these were most popular in Pacific Campaign, which make sense considering jungle environment. Mustang pilots accounts or just review some of the gun camera footage. Shooting up fishing boats, houses or whatever. I found some footage of a P51 strafing run on a school. Yes it was a school, the public grade and JR high school are still built with the same style architecture layout today. there has to be a damn good story about how this found it’s way out of china. it’s not like china would export it. The Sakura stamp looks like it has the Manchuko imperial seal inside of it. That could indicate that we’re looking at yet another product of the Kwantung Army, the Imperial Army’s semi-autonomous organization in Manchukuo (Manchuria). In many respects, it was a Japanese analogue of the Nazi SS, with its own supply chain, hierarchy, and organizational identity. It also apparently didn’t really answer to anybody except Prime Minister (General) Tojo Hideki, and possibly the Emperor himself (although the latter is still debated to this day). In fact, how much attention its commanders paid to Tojo is still debatable. About all that can be said of it with any certainty is that if it was an op underway in Manchuria or Korea between 1937 and ’45, KA was most likely the “command authority” for it. And unlike the SS, which is fairly well documented other than their high-classification projects (some involving nuclear and biological weapon research completely separate from the “recognized” German wartime efforts), about all that we know about Kwantung Army is that Unit 731, the bioweapon project that used everyone from Chinese civilians to American and Commonwealth POWs as “test subjects”, was just one of its highly classified “activities”. What else they were doing remains unknown, possibly even to the government of the PRC today. They may not have even told Tojo what they were getting up to. I want to thank Ian first for posting this up. Me and another friend discovered this in a late friends collection of Japanese and Chinese arms, as we slowly go through clean and sort and sell these rifles off. I figured this deserved to be photoed and put out there for all us collectors to learn from, as most rare pieces like this get squirreled away in private hands only to be seen when the collectors pass on, as in this case sadly. As you can see in the pictures it is crude by some standards especially the recoil lug in stock, Don’t think I’d want to shoot this one! Other than that this one appears to have been used very little, the bore looks new in it, other than the metal finish above the wood, which looks to have been stripped. I have a North Chinese Type 30 SN 15412 in nice condition. with it’s cleaning rod and sling. I have two questions. (1) these carbines were chambered for the 8mm Mauser, However was it the older .318 J-bore or the one adopted by the German military in 1905 with a .323 bore? (2) What is the approximate value of these weapons?